Come take a bite out of love! You can dress with the theme or come as you are. We LOVE to dance, don’t we? 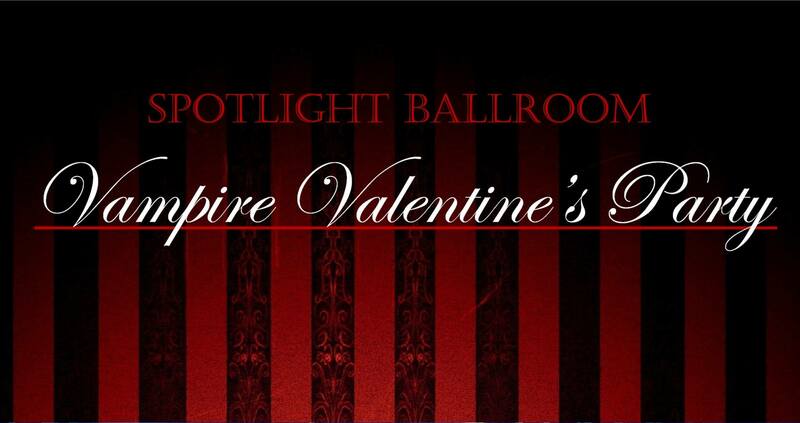 So let’s celebrate with a Vampire themed Valentine’s Dance Party! *learn about our new social dance membership! Good for group classes and weekly social dances including West Coast Swing, Midtown Stomp, and Ballroom Parties!! !